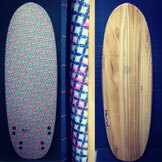 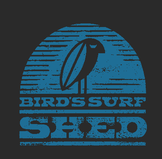 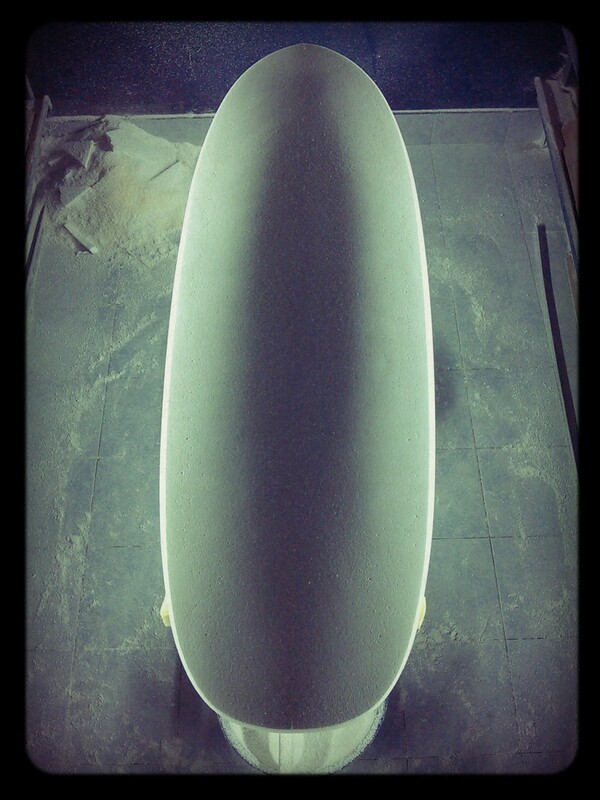 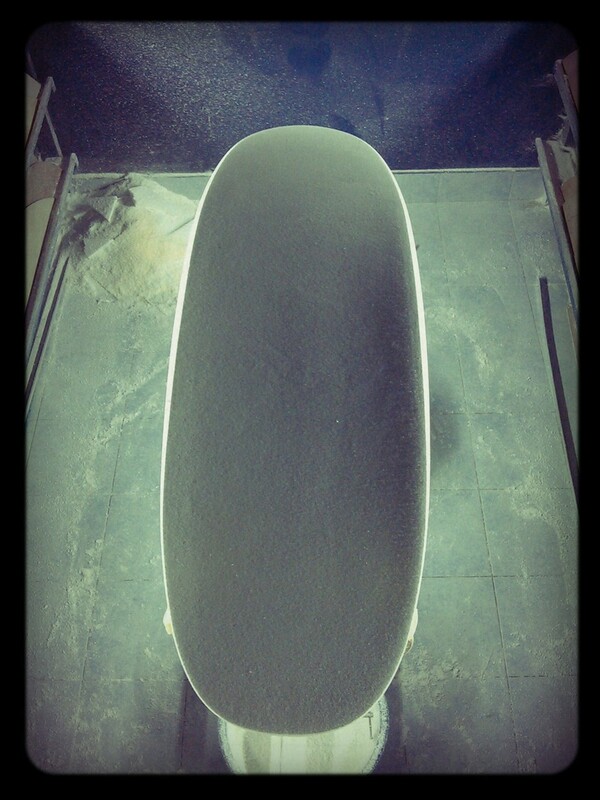 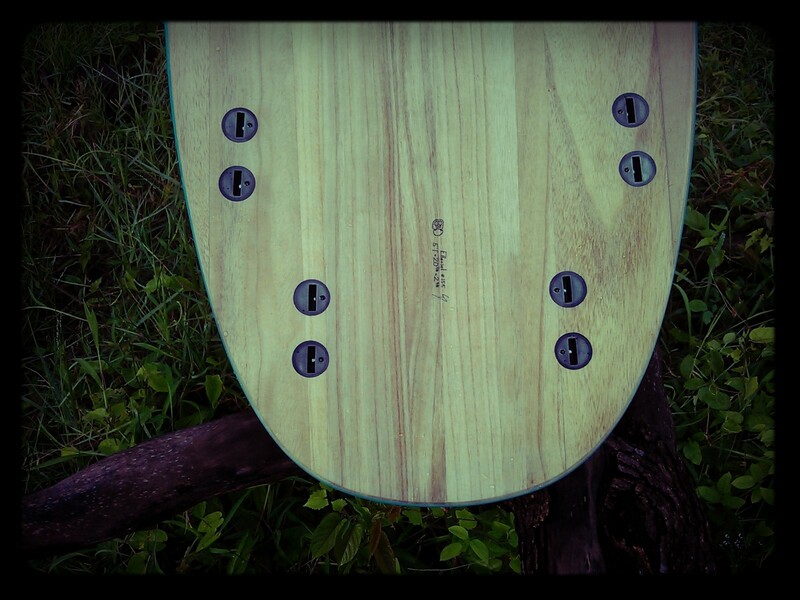 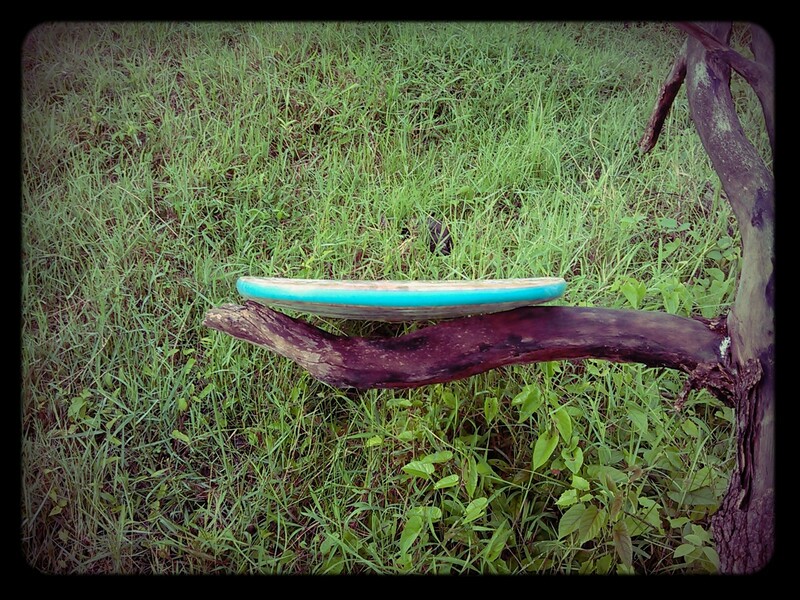 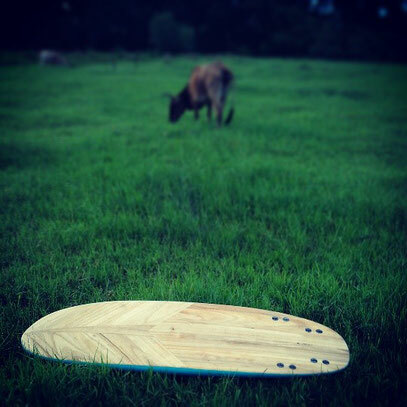 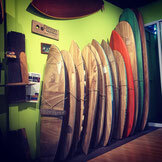 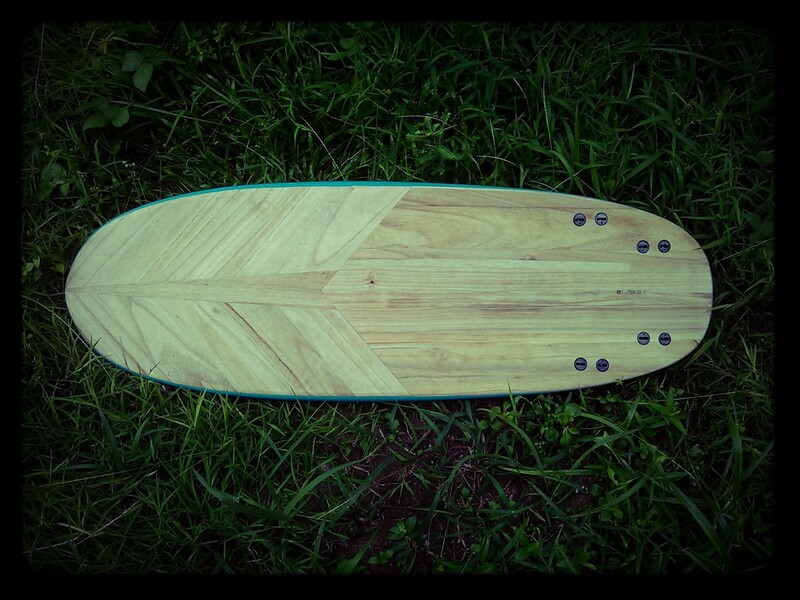 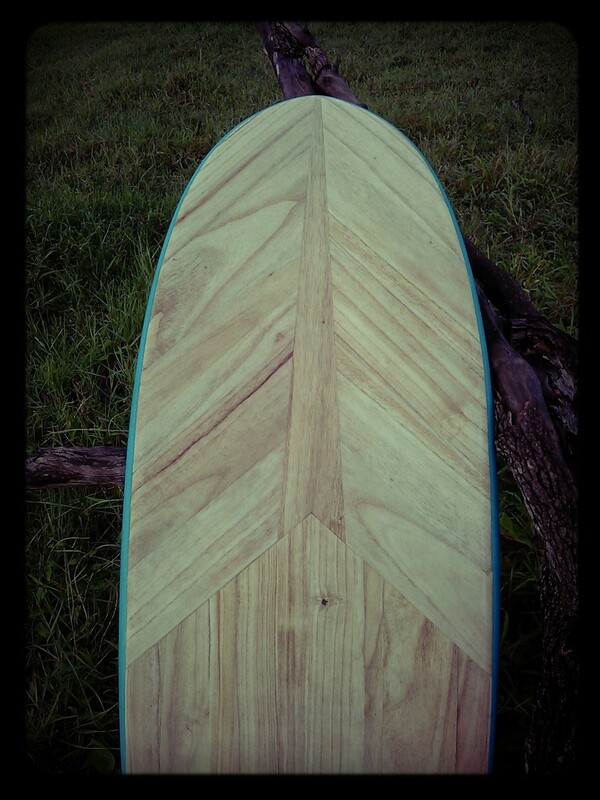 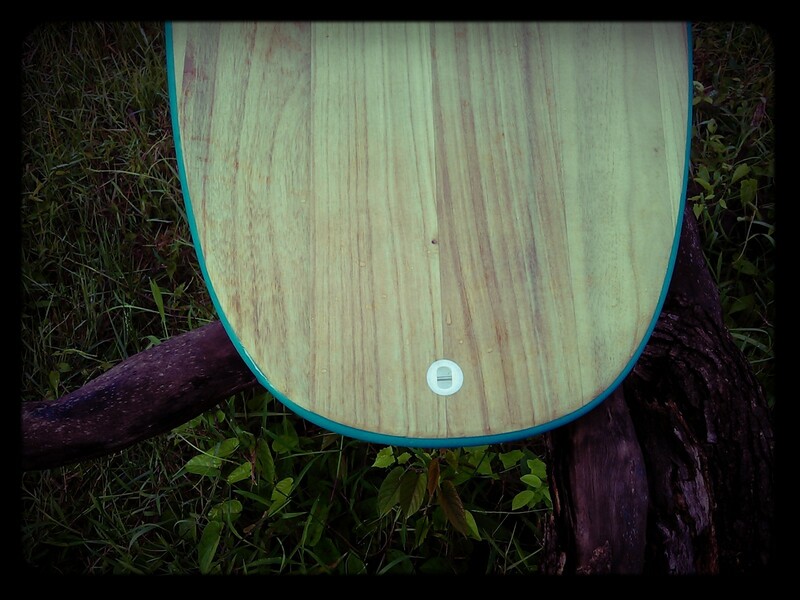 Slight belly to single concave bottom and very slight concave deck. 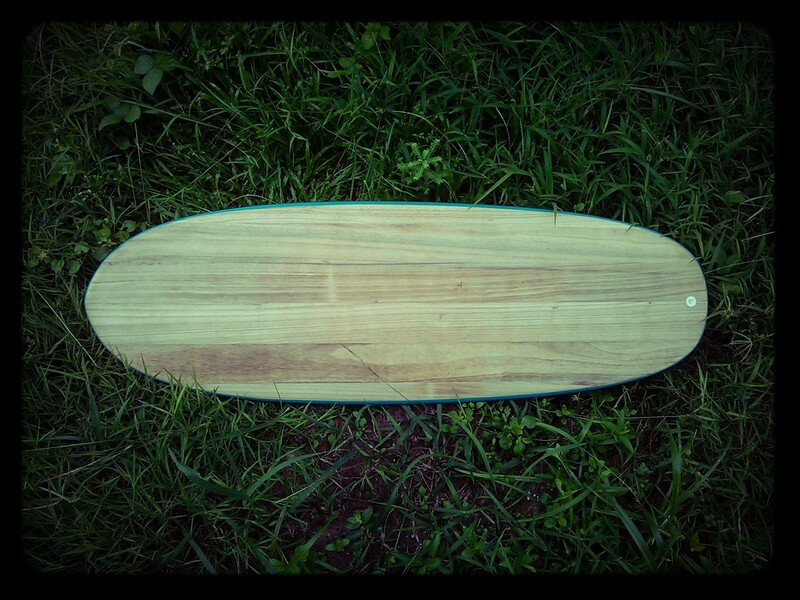 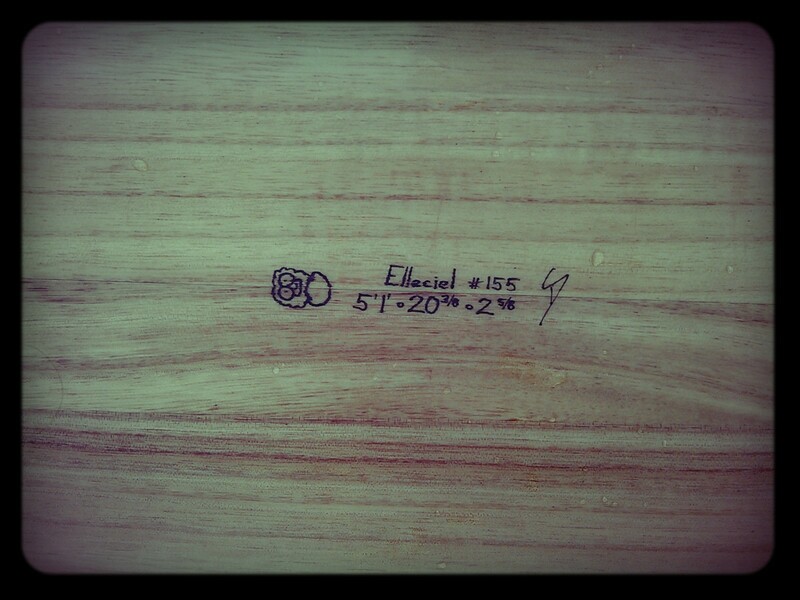 2mm Paulovnia wood on bot sides using scrap wood on bottom. 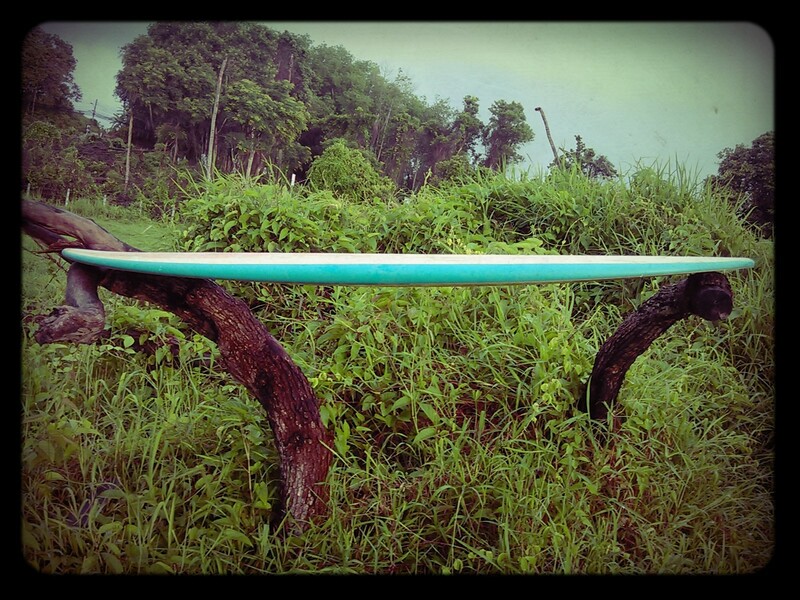 Glassed rails with pigments.